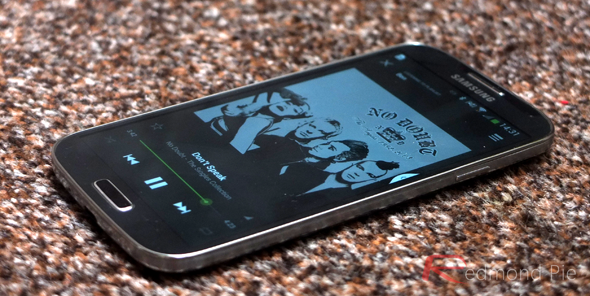 Are Google Play Edition Smartphones Running Stock Android Here To Stay? It’s a phenomenon that few had dare to predict, though certainly one that we all hoped for. 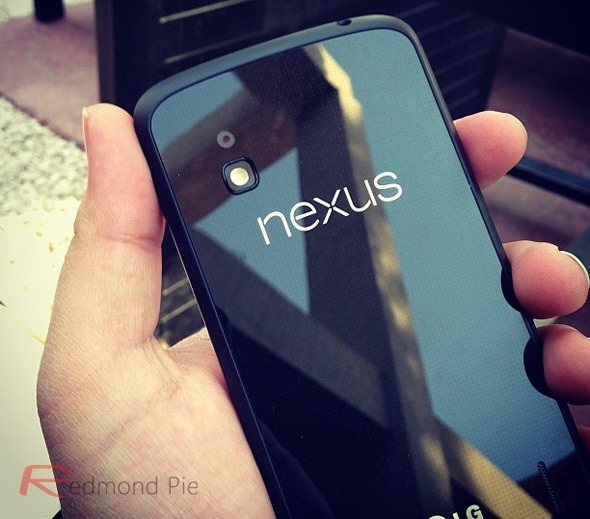 The best Android smartphones on the planet getting special Google editions, free of carrier and manufacturer bloatware? 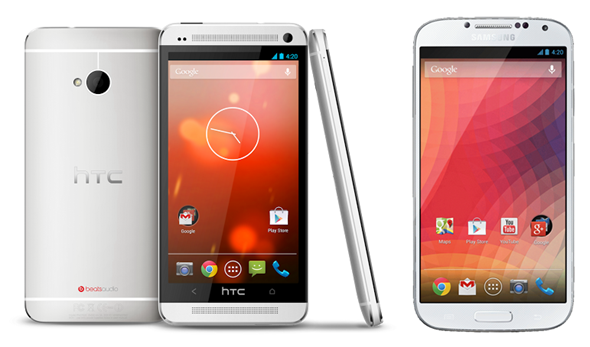 It’s like the Holy Grail of mobile technology, and this week it became reality as both the HTC One and Samsung Galaxy S4 made the transition from unique-selling-point-filled behemoths to sleek, Google-powered monsters. The launch of these new ‘Google Play Edition’ versions of the world’s two hottest Android phones may have set our pulses racing, but it has also left us with two burning questions. First off, there’s the obvious question of whether this is the first and last time we’ll see Google get its hands on existing, shipping models and be allowed to launch them as so-called Nexus phones. Moreover, these are the two respective company’s top of the line, super duper flagship handsets that are currently spearheading their lineups. Letting Google remove all the things that supposedly make the One and Galaxy S4 so compelling can do nothing if not bastardize sales for the two biggest Android partners out there. We know how Google wins here, but what about HTC and Samsung? We’d argue that they win because we win, and anything that gives either Samsung or HTC goodwill amongst customers is a good thing right now, but we suspect that such things won’t be reflected on either’s bottom lines come the end of the quarter. Obviously we don’t know what kind of revenue split is going on between the two OEMs and Google, but we’re sure they’re doing OK out of the whole situation. Secondly. there’s the question that OEMs will possibly be dreading: Are all phones better when they’re clean, no-frills Google Play Editions? If the answer is yes, then the Android landscape may be on the verge of changing forever. Could we soon be buying Android phones in a similar way to how we buy PCs? They all run the same OS in Windows, and they’ve got some bespoke apps thrown in, but when all’s said and done it’s the same Windows interface and experience across the board. It’d kill Sense, TouchWiz and all the other God-forsaken skins that currently blight Android phones, but it would also mean that hardware makers would need to sell based on just that, hardware. Which brings us back to HTC, really. In a world where HTC appears to be the only Android OEM capable of making a handset that looks and feels like a premium handset, is HTC best placed to take advantage of the new Android marketplace? Of course, all this is conjecture and these two smartphones may be the only two Google Play Edition phones to ever see the light of day. We hope not, though, and we’re sure you do too. The only way we can make sure that’s not the case is for the pair to sell well, and that’s never a given.